• Recycling glass, plastic and aluminum within our building. • Placing most warehouse and office lighting on motion-timers. • Eliminating disposable plates, bowls and tableware in our break rooms. We’ve replaced them with reusable dishware, silverware and an energy-efficient dishwasher. Although we execute our green practices year-round, Earth Day is a special reminder of the higher purpose behind our efforts. Our operations team is continually vetting new, innovative ways in which we can increase our company’s social responsibility through sustainability to build a better future. 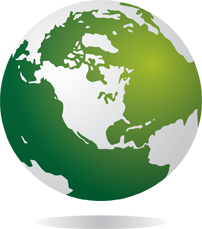 This entry was posted in General, Packaging & Ingredients, Production & Material Handling and tagged Earth Day, environment, green, recycling, sustainability. Bookmark the permalink. Follow any comments here with the RSS feed for this post. Both comments and trackbacks are currently closed.